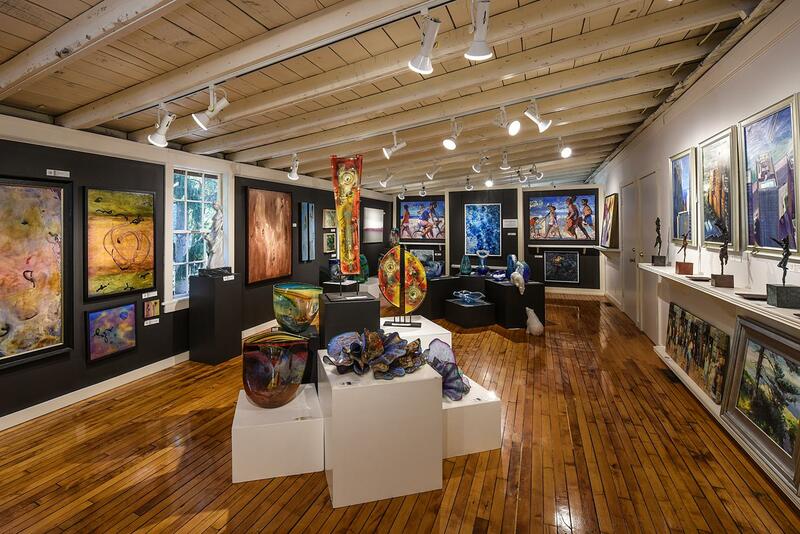 Since 1970, This fine art gallery represents 70+ nationally/internationally acclaimed & emerging artists in a historic setting. J. Petter Galleries is located in a unique 12,000 square foot fine art gallery building that first housed area artists in the 1930s. It was reintroduced as the Joyce Petter Gallery in 1993. 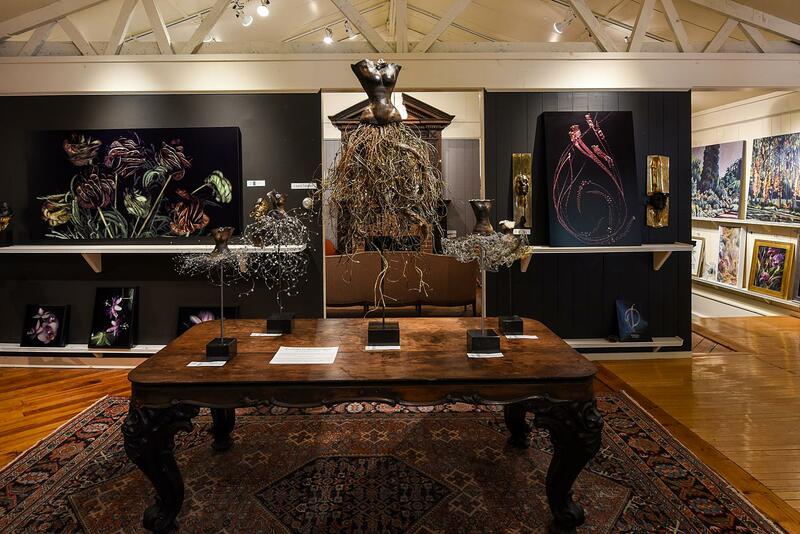 The Art Gallery now features an eclectic collection of fine paintings, sculpture, glass, and more. The galleries are also home to Petter Wine Gallery where you’ll find boutique wines and artful foods at both the wine/small plates bar and wine shop. The Wine Bar/Shop is also known for its private collection of unique cheeses and hand poured chocolates. And yes, you may walk the galleries with a glass of drink from our wine bar in your hand. If you’ve had the pleasure of taking in the timeless beauty of a Carl Hoerman painting, you know that he captured the essence of the Saugatuck/Douglas shores like no other. His incredible spirit still lingers in our gallery. The building is still referred to as the Carl Hoerman building or River Guild Gallery Center on Blue Star Highway in Douglas, Michigan. In 1993, Joyce Petter of Joyce Petter Gallery, purchased the Carl Hoerman building, which had undergone many lives since its glorious stint with Carl. Joyce started her first gallery in the area in 1970 and was already an icon in the gallery world when she decided to revive the River Guild Gallery Center at 161 Blue Star Hwy. While renovating to create gallery spaces, she made an amazing discovery. Hidden in one of the walls was a secret treasure, a carved wooden door. It was the very door that had once graced the entrance to the River Guild Gallery. In the center of the door, as if still guarding this place of creativity, was a figure of a craftsman. He had chisel and hammer in hand. This Sculptor is now proudly restored and is the symbol of the J. Petter Galleries. See the original logo that inspired the logos that we use today below. 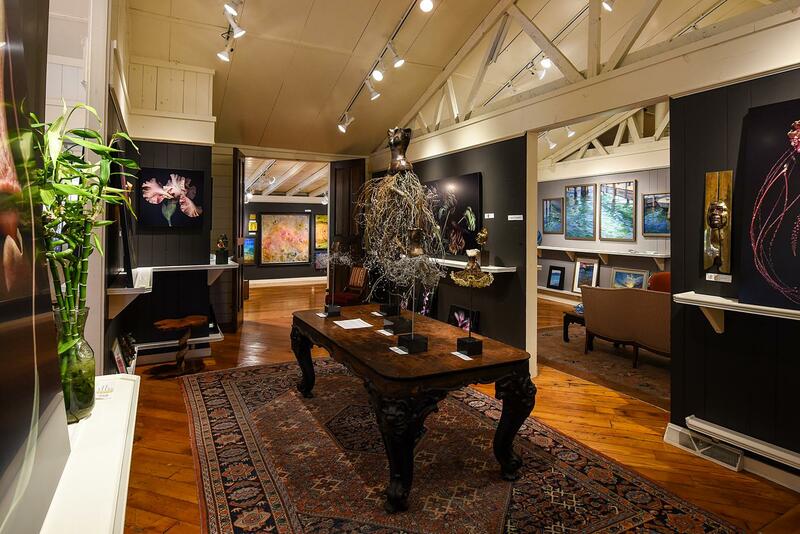 Today J. Petter Galleries is home to over 60 award winning artists. Some master artists have been with the gallery since the early 90’s. Many new artists have been selected to add excitement and diversity. The enormous gallery space allows each artist to have multiple pieces on display. This is so that our collectors can fully experience their body of work. Meet these incredible talents at our artist demonstrations and receptions. Every inch of the gallery and outdoor garden is filled with something amazing that they create.